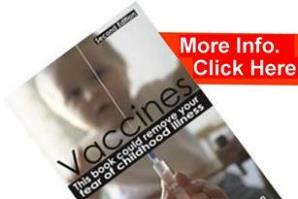 Is autism a side effect of mercury in vaccines? In the USA, April 2000, at the congressional hearing on autism and vaccines, the Sallie Bernard study of vaccines and mercury toxicity has been cited as one of the main reasons Congress began to see the obvious correlation between the rise of autism and the introduction of thiomersal in vaccines. Autism was first described in 1943 among children born in the 1930s; Thiomersal was first introduced into vaccines in the 1930s. 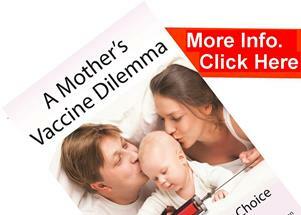 The subsequent increase in autistic rates parallels the introduction of new vaccines containing thiomersal. The age at which autistic symptoms are first noticed in children and the ages of the subsequent increase in their autistic symptoms closely correlates to the times at which thiomersal containing vaccines are introduced throughout their lives in the typical vaccination schedule. Every major symptom of autism matches the symptoms of documented cases of mercury poisoning: Social deficits, shyness, depression, anxiety, impaired face recognition, irrational fears, aggression, lack of eye contact, attention problems, loss of speech, sound sensitivity or loss of hearing, light sensitive, blurred vision, jerking rocking circling motions, lack of coordination, lack of understanding, self injurious behaviour, staring, unprovoked crying, sleep difficulties, incontinence, digestive disturbances, anorexia. The biological and biochemical characteristics of the nervous system and immune system affected by mercury poisoning are the same as in autism, in addition both autistic patients and victims of mercury poisoning show low glutathione and sulphate levels, purine and pyrimidine metabolic disruption as well as mitochondrial dysfunction. Excessive amounts of mercury in urine and hair can be detected in autistic children, when mercury elimination techniques are used to remove mercury not only from the extracellular fluid but from within the cells, symptoms of autism show a marked improvement. There is an inherited predisposition to the effects of mercury poisoning just as with autism, with a higher than expected incidence in other siblings. Therefore not all individuals are affected in the same manner. Studies of mercury poisoning in animals and humans consistently report greater effects in males than in females, autism seems to affect more males than females. These phenomena have been studied by David Ayoub MD who is a board-certified radiologist and associate professor at Southern Illinois University School of Medicine in Springflield Illinois he similarly asserts that every major characteristic of mercury poisoning matches the syndrome of autism. The rate of autism has increased in the 1930’s from being a new and rare phenomenon to 1 in 2000 before the 1970’s, which equates to 50 in 100,000, note that a polio epidemic is 35 in 100,000, and according to research conducted by G Baird et al published in the Lancet 2006; (368: 210–15), studies reveal that as many as 1 in 86 children are on the autistic spectrum, that equates to approximately 1,160 per 100,000. ‘Autistic spectrum disorders’ being the newer term recognised by the WHO, describes the disease syndrome as characterized by widespread abnormalities of social interactions and communication, as well as severely restricted interests and highly repetitive behavior.